0.25ct Titanium Engagement Ring : LOVE2HAVE in the UK! 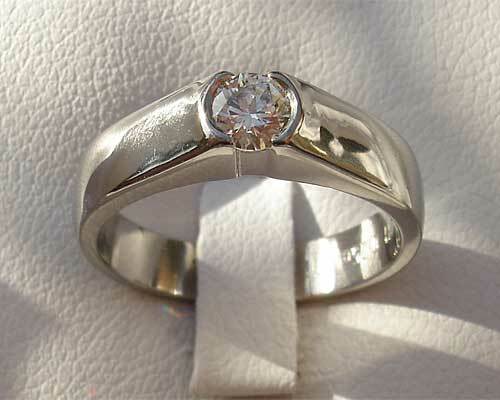 A 4mm wide titanium engagement ring set with a 0.25-carat white diamond. The diamond colour is H, and the clarity is SI, so therefore it sparkles. This ring is made of titanium and machined into a very modern contemporary style featuring smooth and stylish curves. 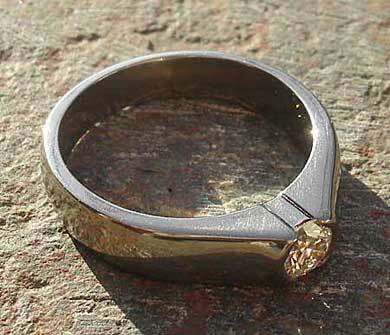 The stone is held securely into the titanium. 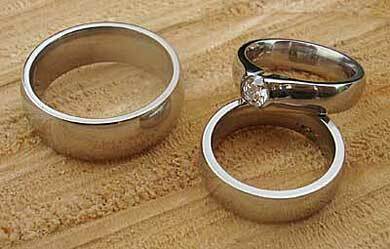 Also available are matching plain titanium rings for your wedding rings. Please contact us for further details.